Apparently Monseuir Willam was president of Lambretta France in the late 1960’s and he created microcars from 1967-72. 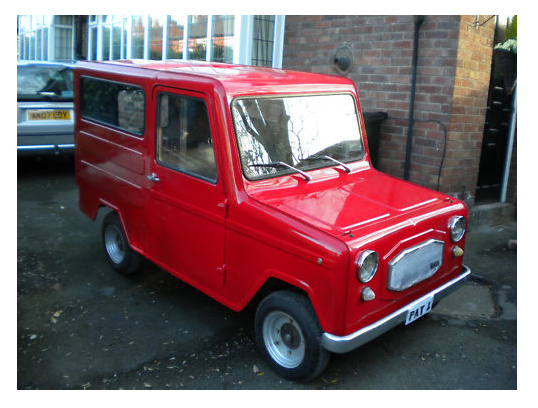 Powered by a 125cc Lambretta engine, it’s not going to be beating any Ferrari’s away from the lights, but it’s kinda cute in a “Postman Pat” way. Somebody else has obviously made that link too… check out the (non legal, I’m assuming) numberplate. Check it out on eBay here. This entry was posted in Commercials / 3 Wheelers, Not a Lambretta and tagged French, Lambretta, Microcar, oddball, Willam by crocodilejock. Bookmark the permalink.